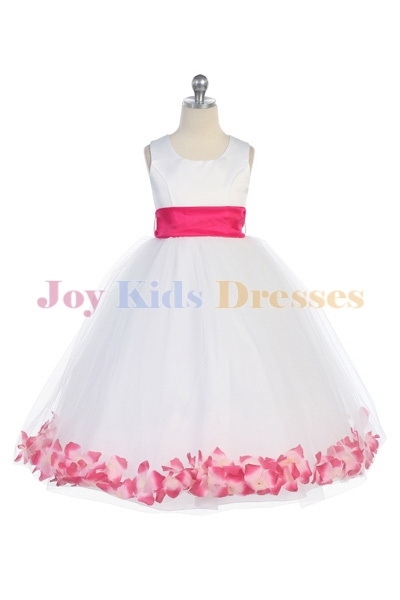 Long | petal dress | flower girl dress. 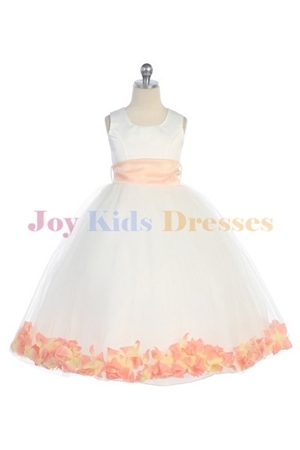 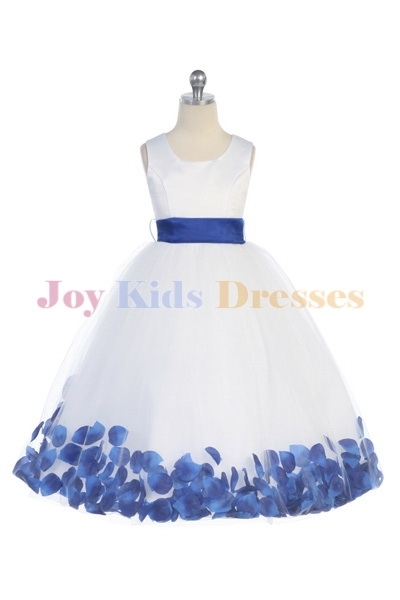 Long flower girl petal dress. 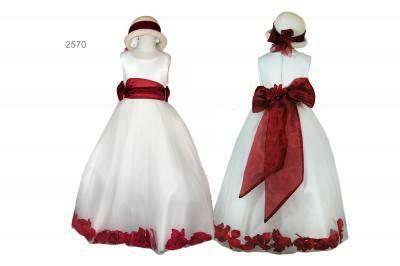 Satin long dress w/petals, sash and flower on the back. 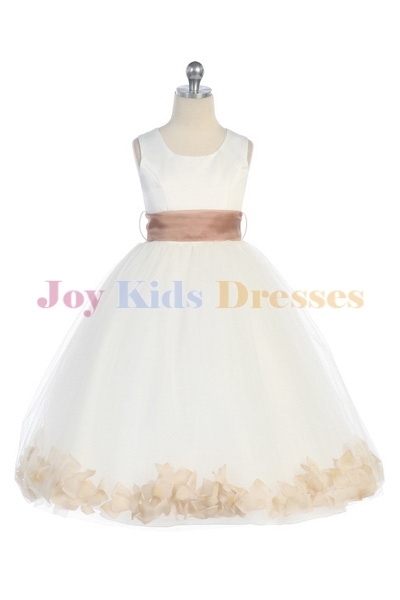 Quality Bridal satin bodice and Tulle skirt full with rose petals. 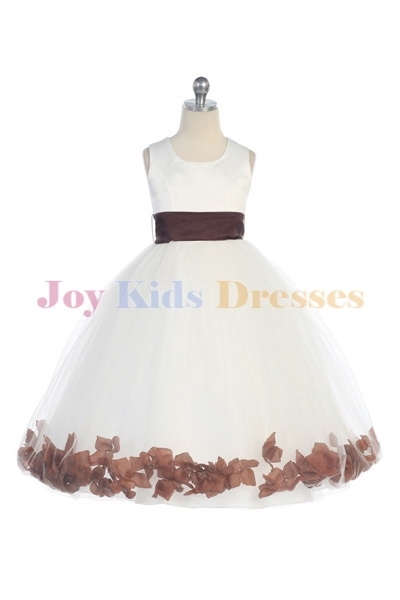 Dress comes in White or Ivory. 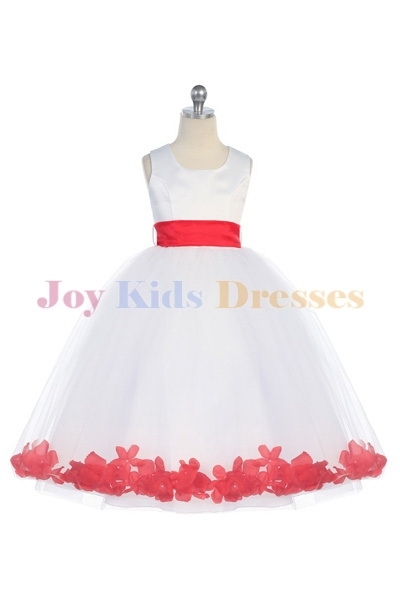 Choose from twenty-six colors for sash, detachable flower, and petals. 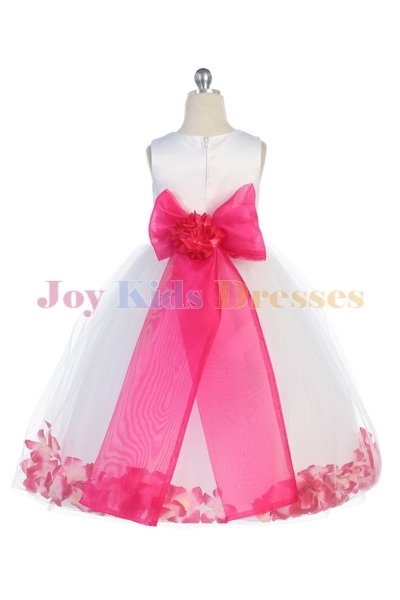 Full Length dress. 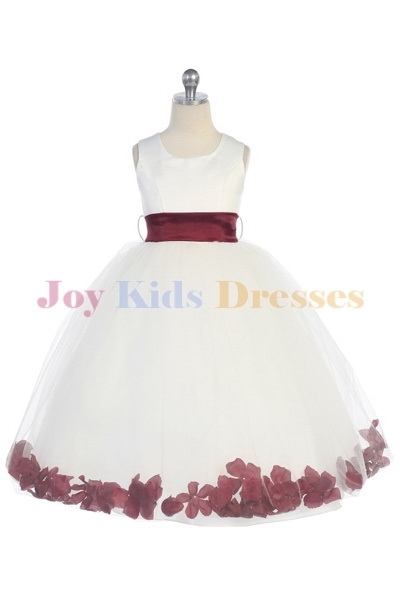 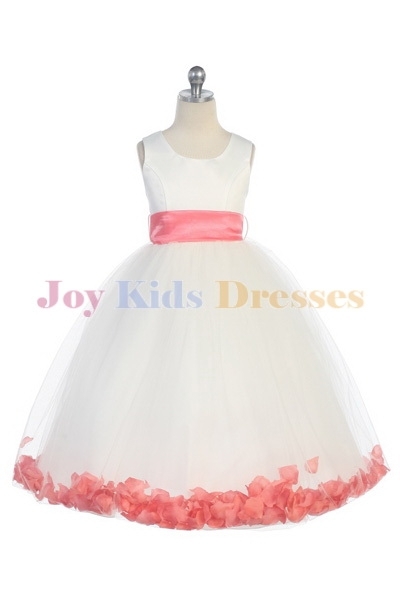 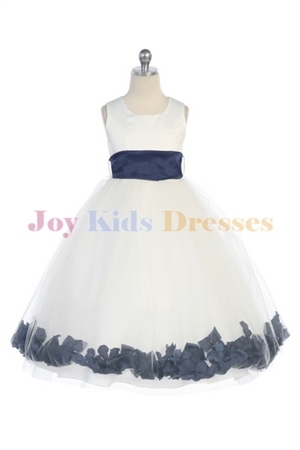 Tulle skirt full with petals perfect for Flower girls. 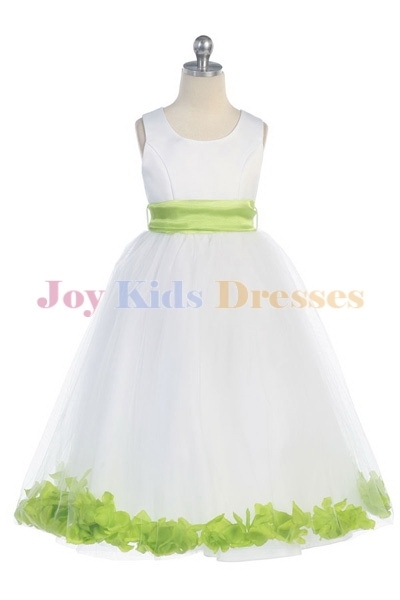 Dress has a satin bodice, zipper, sash ties on back and is accented with a flower. 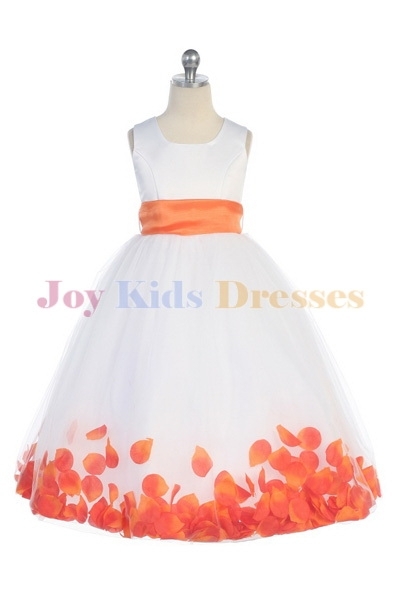 Click on above picture for petal dress inventory clearance selections at $40. 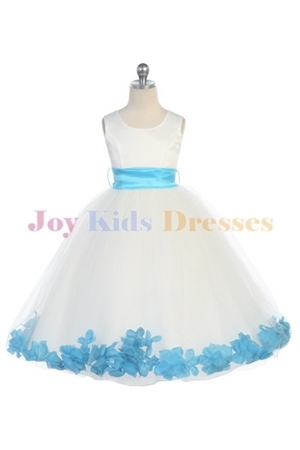 Only for select sizes and colors.